A car engine converts gasoline into energy that is transformed to motion so that your car can move. Gasoline combustion with oxygen creating high-temperature and high-pressure gases that apply direct force to pistons, turbine blades and nozzles. The pressure that moves these engine components transforms chemical energy to mechanical energy. Advanced Auto Repair is family owned repair center delivering professional engine repair in North Attleboro MA. Our master technicians utilize the latest automotive technology to handle all major and minor engine repair jobs. 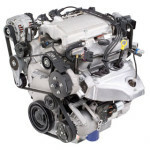 We understand that car engine are a major investment, with countless moving parts, engine repairs are sometimes necessary. That is why we recommend regular checkups and getting small repairs done before they become big investments. Whether its engine repair, engine overhaul or even an engine replacement, our North Attleborough auto repair technicians have 46 plus years of practical knowledge and education under our belt.